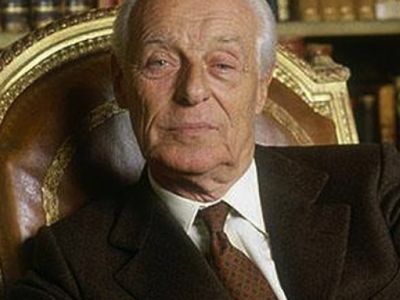 Nathaniel Charles Jacob Rothschild, 4th Baron Rothschild Bt, OM, GBE, FBA is a British investment banker and a member of the prominent Rothschild banking family. He is also Honorary President of the Institute for Jewish Policy Research. 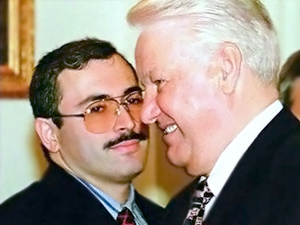 LONDON (Agence France-Presse) Control of Mikhail Khodorkovsky’s shares in the Russian oil giant Yukos have passed to renowned banker Jacob Rothschild, under a deal they concluded prior to Mr. Khodorkovsky’s arrest, the Sunday Times reported. Russian authorities Thursday froze billions of dollars of shares held by Mr. Khodorkovsky and his top lieutenants in Yukos â€” throwing control of the country’s largest oil company into limbo and causing frenzied selling on financial markets.